Over/Under: Under 153.0 at 1.90 Bet Now! The Greek side are currently 2-3 in the Top 16 and the Moscow side arrive on a three game winning run and a 4-1 run in the Top 16. Over the course of the season, the teams are having similar form with the hosts having a slight edge, a 10-5 record compared to a 9-6 record in the overall season, but on present form, the team from Moscow is brimming with confidence. 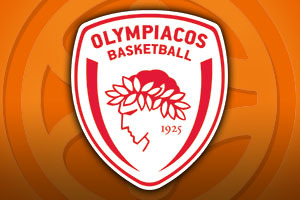 While the away team have a three game winning run to boost their confidence, Olympiacos are currently on a three game losing run and they will be desperate to get back to winning ways in this one. Overall, the Greek defence has been very solid which means that not taking chances has been the issue for Olympiacos in recent weeks. This means that Vassilis Spanoulis and Vangelis Mantzaris will be under increasing pressure in this game to ensure that the hosts snap out of this poor run of form and build towards making their way out of the Top 16. The stats look for good for the Moscow side with Khimki leading the way with respect to blocked shots, at an average of 5.07 blocks per game, steals, with an average of 8.7 steals per game and turnovers from opponents, which stands at 15.9. These are the aspects that Khimki hope will be relevant on Friday night. Players like James Augustine, Sergey Monya, Dimitry Sokolov and Marko Todorovic have all been big players this season and if they can maintain this form on Friday, it could be another brilliant night for Khimki in the Euroleague. Tyler Honeycutt has been another player who has played a big part in the Moscow team’s success this campaign. 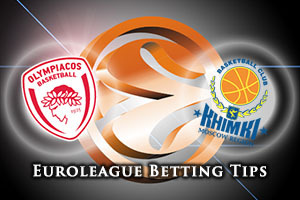 The bookies think the home team will get back to winning ways in this game and the importance of the clash does suggest that Olympiacos Piraeus at -4, at odds of 1.90, isn’t a bad bet for Friday night. If you are looking to take on the Over/Under market, look to go UNDER 153.0 which you can find at odds of 1.90. Bet Now!